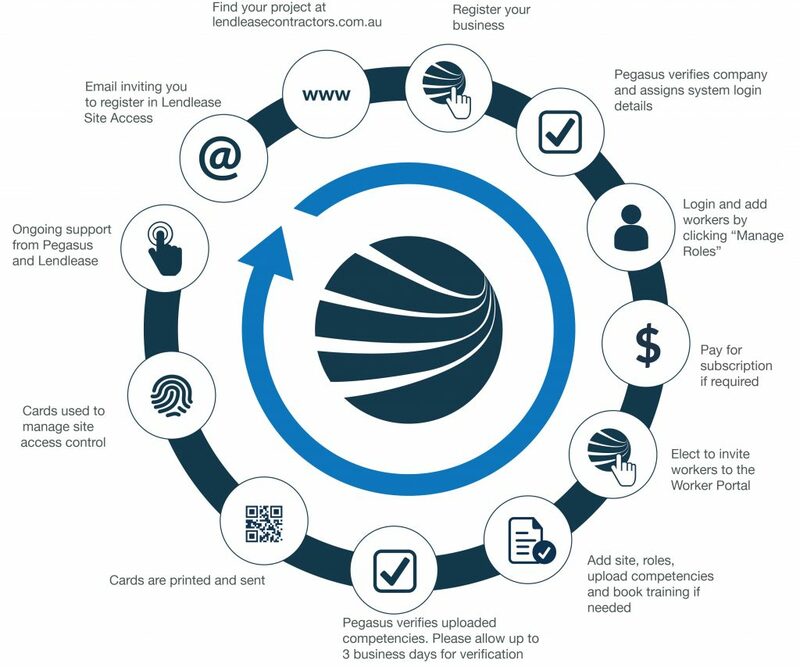 Follow the steps below to register your workers as contractors on the Lendlease Osborne Naval Shipbuilding Precinct (ONSP) Project. They must successfully complete this induction and then provide you with the certificate. You will need to upload a copy of the certificate they receive in Lendlease Site Access later in this process. Lendlease recommends using the Google Chrome internet browser to complete this induction. The next steps are to add your workers to ensure their compliance to work on the ONSP Project. Next, select your worker’s name to Add New Role and choose the role/s they’ll perform on this project. You must select a role for them which begins with ‘ONSP’ to identify working on this project. Your selection will determine the competency documents (licences, for example) you’ll upload in the system to prove your employee’s qualifications to perform the chosen role/s. Please note that for the ONSP project, Lendlease will only accept white cards that have been completed face-to-face, not those completed online. Pegasus will validate the documents you’ve uploaded for your workers during registration. You’ll be emailed if there are any issues and given a chance to update the information. Upon document approval, the roles will be applied to your workers in the system and their access ID cards printed and sent to site. Their eCards will also be sent to their mobile number.